Asher and Jessica Richter, who own custom furniture and interior decorating business Weego Home, purchased a 950-square-foot bungalow with a cramped floor plan and a strong need for updates. 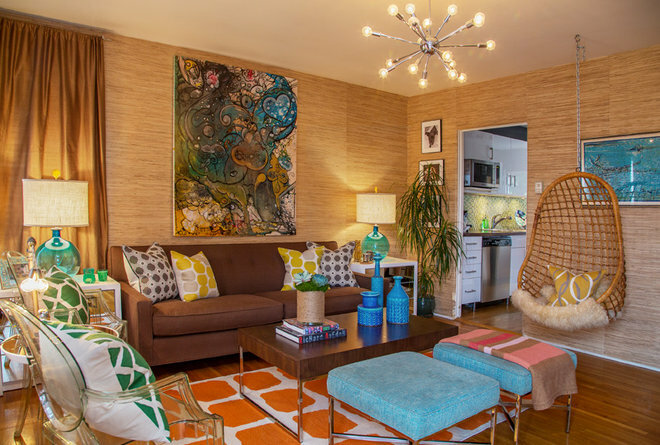 The home was the perfect place for the pair to indulge their love of color, texture and pattern, while maximizing the space. The 450-square-foot living room is the largest room in the house, and to help it feel even larger, the couple chose furniture with simple lines and open bases. These include the Kartell Louis Ghost chairs and the coffee table and ottomans, which came from the Weego Home store. The media cabinet in the living room provides ample storage space, while placing the television on the wall saves visual space. 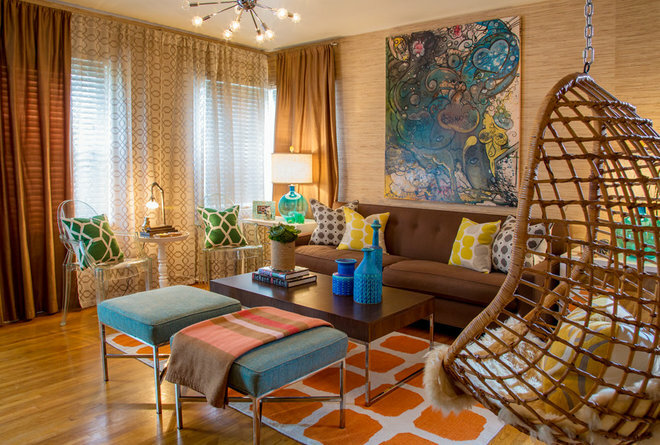 Asher Richter says that too often clients are afraid to use much color and end up with a room that falls a bit flat. Keeping larger pieces neutral allows a room to work with a medley of color and patterns, he says. The homeowners began their remodel with the kitchen, installing new hardwood floors, white cabinets and stainless steel appliances. 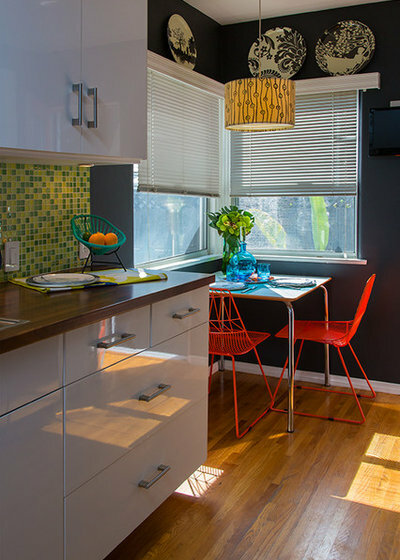 Accents like the green backsplash and bright chairs bring in vibrant color. After the kitchen renovation, the couple took on their bathrooms. 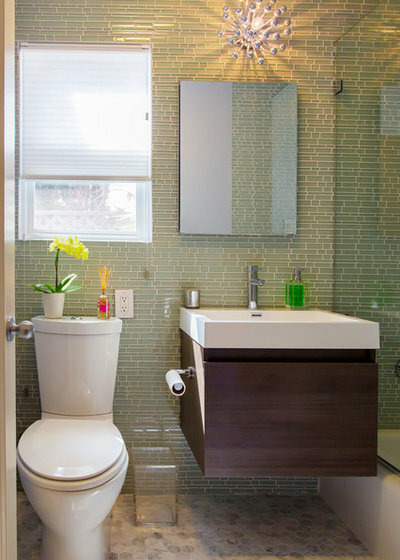 In the master bath, they chose light colors, a floating vanity and a clear glass shower to help the room feel larger. The 2-by-2-inch Carrara marble hexagonal floor tiles are inspired by classic 1920s style.